Despite enduring the horrors of the trenches, and the war injuries that many veterans would bear for the rest of their lives, there was still more hardship to come for those who returned to British Columbia and lived there into the 1940s. During the Second World War, Japan was not ally but enemy, and Japanese Canadian veterans were not exempt from the discrimination and restrictive measures imposed on Canadian residents of Japanese heritage. Private Ryoichi Kobayashi, a veteran of the Fighting Tenth Battalion, was interned in Tashme with his family, despite his protests. Disillusioned with the government's treatment of him, Kobayashi opted to be deported to Japan in 1946. Three of his sons, however, signed up for the Canadian army from Japan, and served in the Korean War. When Kobayashi returned to Canada in 1957 with his family, he applied for Canadian citizenship, which had been revoked when he left for Japan. The presiding judge turned him down due to his poor English - until Kobayashi's son Yutaka pointed out the insignia pinned to his father's lapel, given for service in the Great War. The judge then accepted his application for citizenship. Kobayashi is currently featured at the Vimy monument in France, erected in honour of him and his fellow Canadian soldiers who took the Ridge. Private Zennosuke Inouye was born in Hiroshima, and immigrated to Canada as a teenager. After training with the Canadian Japanese Volunteer Corps, he enlisted in Alberta and fought overseas with the 52nd Battalion. He was wounded at Vimy Ridge and the Somme, and was honourably discharged from the army due to his injuries in 1919. Later that year, he purchased a berry farm in Surrey with assistance from the Government of Canada through a veterans' resettlement program. Inouye was a community leader, serving as president of the Surrey Berry Growers' Co-operative Association. In 1942, Inouye, along with dozens of other Japanese Canadian veterans, was forced to leave his farm to be relocated 100 miles inland from the coast. After staying for a time in Hastings Park, Inouye was sent to Kaslo with his wife and daughters; his sons went to work on R.H. Macdonald's fruit farm in Vernon. Inouye's farm was seized by the government to be held in trust, but in 1943, it was sold without his consent. Ironically, it was purchased on behalf of the Veterans' Land Act, to provide farms for returning Second World War veterans in a similar scheme to the one under which Inouye had purchased the land in 1919. Inouye protested the sale of his land from the beginning, calling the situation given his status as a veteran "absurd". After years of petitioning numerous politicians and authorities, Inouye's land was returned to him in 1949 due to a recommendation from the Bird Commission. 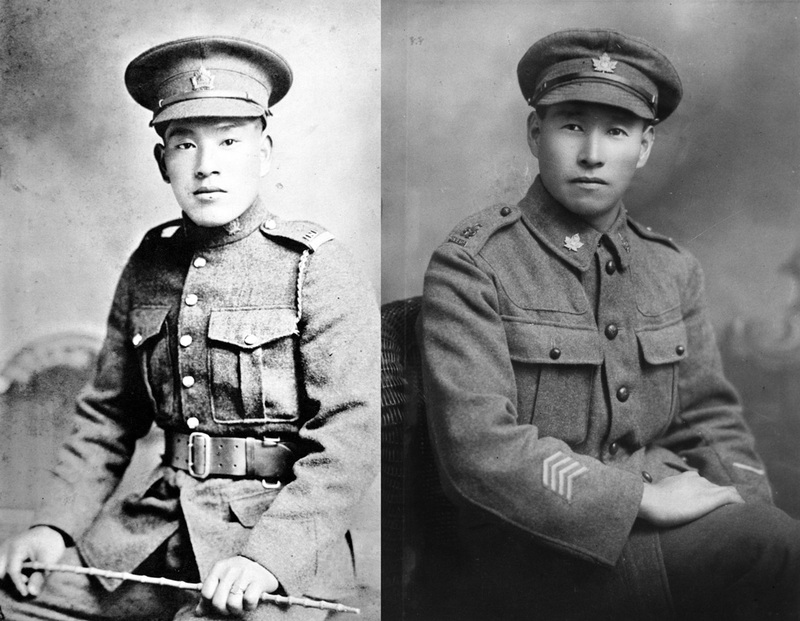 Although two of his fellow First World War veterans were also eligible under this change in policy to receive their land back, they were not informed of this; Inouye was the only Japanese Canadian to have his land returned to him after the dispossession. 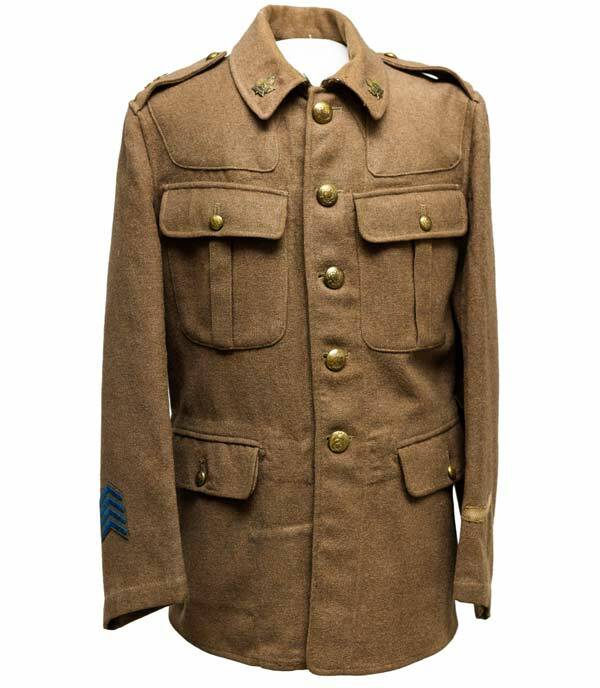 Zennosuke's Inouye's service dress hat and jacket, circa 1916. Loan courtesy of Kelvin Inouye. Zennosuke Inouye's medals for service in the First World War, circa 1920s. 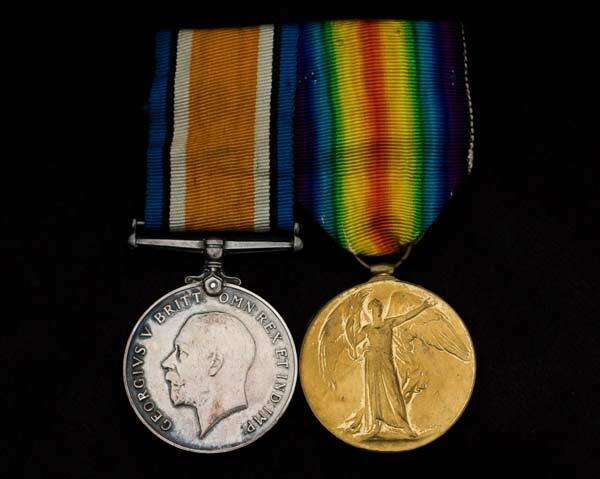 Left to right: British War Medal, Victory Medal. Loan courtesy of Rob and Chris Inouye.